Seriously, how can someone claim to conduct a ‘neutral’ political talk show when he is an active member of a political party? It is like having an umpire in cricket who plays for the opposing team. Surprised by this notion of neutrality, if you raise an objection, do you know what they are going to tell you? Do not pay attention to who is the analyst, just focus on his analysis. Now that is the kind of bizarre logic that somehow approves a blatant conflict of interest. Let me first give you the basic definition of conflict of interest. It is summarised as “any situation in which an individual or corporation (either private or governmental) is in a position to exploit a professional or official capacity in some way for their personal or corporate benefit.” Keeping that definition in mind, everyone can tell that the opinion of these experts is an eyewash even when it is embellished with clips from The New York Times or The Guardian and even when their assessment is draped with book references and true historic events. However, if it is done for a long time, I admit, it can work to befool a lot of people. All they have to do is just keep on garnishing the main entree of truth with little fabrications here and there, which they do very well in these ‘serious assessments’. I wonder: once the camera lights have been turned off, if they laugh at us more or sympathise more with our credulity. Similarly, can you trust the opinion of a journalist who first applies for the ticket of a political party to contest in the general elections, and then writes against the same party upon refusal? Or can you rely upon the views of an anchorperson who co-hosts an ‘unbiased and balanced’ programme with a partner who was the spokesman of a former dictator? Or consider the political stance of a newspaper columnist who joins the cabinet. To me, and many others, this is like asking the suspect of a criminal trial to become a member of the jury. Can you agree with the verdict of such a person? Probably not, but in real life this is what is going on in our media, the fourth estate that was supposed to show a mirror to society and bring accountability into state institutions. Instead, it has become so corrupted from top to bottom that it needs a mirror itself to evaluate its actions. No, my assertion is not that the programme’s hosts should not have an opinion; they must carry their own views because without having them they cannot conduct an entertaining show. However, if there is an interest beyond the scope of the programme it should be disclosed — just like a physician who, if paid by a drug company to promote one of their new medicines, has the ethical responsibility to disclose that information before his lecture. It does not mean his speech would be substandard or less informative. For sure, it would be educational and helpful, yet it cannot, in any case, be considered neutral. The first objective of the company through that discussion, as we all understand, is to promote the product and that aim is never overlooked. Sure, politicians too have the right to become political commentators like anyone else and, yes, they can conduct their own shows. I just think in that case too a proper and complete disclaimer is necessary. 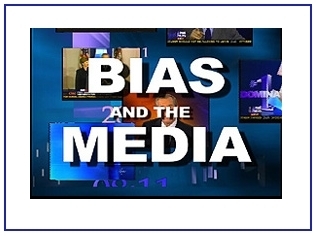 In the US, many politicians have become media experts. Mike Huckabee, for instance, the former governor of Arkansas who also attempted to win the nomination of the Republican Party for the 2008 presidential elections, had started his own programme on Fox News. Yet, neither Fox News nor the former governor has the reputation of being ‘fair and balanced’! While continuing to host his programme, there are rumours that he may attempt in 2016 again to win the party nomination. I find no objection to that since the motives, the contracts, the political inclination and loyalties are public knowledge from day one. For me, credibility is like a mirror that, once damaged, will always be damaged even if we glue all the pieces together. So, why risk it? The answer is simple: credibility is just not that important for many analysts since it does not provide luxury vehicles or million dollar homes!Other than providing professional guidance on these moral and ethical issues, one of the core missions of the SPJ is to ensure the freedom of speech and to promote diversity. So, how do we ensure that? I believe it can only be achieved through a neutral and comprehensive debate, where all points of views from all factions are taken into account, a real debate in which criticism is heard as strongly as appreciation or maybe more. However, under the disguise of freedom, we do not want to promote a culture of fake debate in which one anchorperson has served on national television under a political government and leaves the office to conduct a programme against the same administration while the other host, in many cases, is a renowned turncoat and is still an active member of the political party in opposition. This entry was posted in Blogs and tagged media, Syed Kamran Hashmi by Editor. Bookmark the permalink.